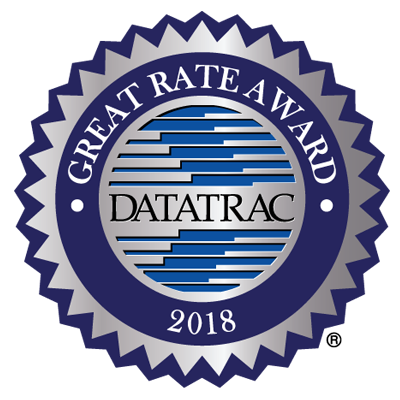 Three Rivers Federal Credit Union's rate for a $25,000 auto loan beats the National average by up to 17% earning a Datatrac Great Rate Award and saving you as much as $539 over the life of the loan. Save up to $539 now! Save $539 now! $539 is the difference between the amount paid in interest between Three Rivers Federal Credit Union's rate at 4.01% APR compared to 4.66% APR for the National market average over the life of a $25,000 auto loan over 72 months. APR=Annual Percentage Rate. Datatrac’s comprehensive, unbiased research and analysis is updated each business day and is conducted independent of any financial institution. There is no guarantee that you will receive the rates or terms displayed herein. Actual rates and terms are in the full discretion of the financial institution and are subject to your credit rating and other factors. Please contact Three Rivers Federal Credit Union directly with any questions regarding their current rates and terms.